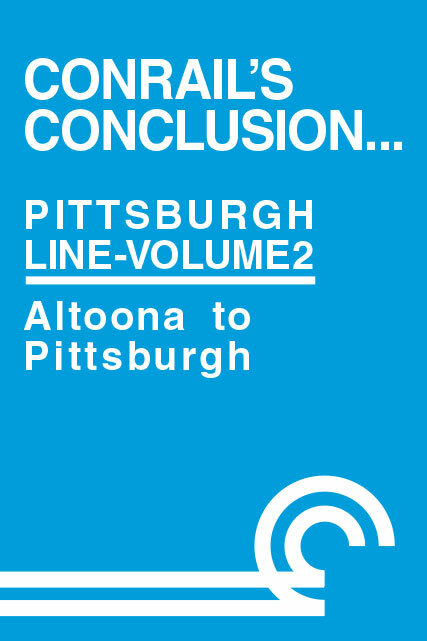 The Pittsburgh Line - volume 2 - covers the length of this Scenic and Famous route at locations including Alto, Slope, Horseshoe Curve, Gallitzin, AR, UN, High Bridge, Cresson, Lilly. Cassandra, Portage, Summerhill, Ehrenfeld, SO, Mineral Point, Johnstown, Conpit Jct, Boliver, Gray, Derry, Latrobe, Greensburg, East Pittsburgh, and many more! 100 minutes, color and sound, DVD-R format.